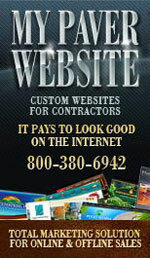 View landscape and paver books and videos from the companies below. If you'd like to view other categories, please browse by keyword using the box on the right. 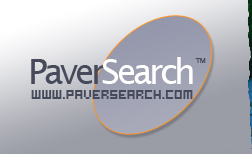 Post your Books or Videos FREE on PaverSearch.com. Our staff will review your books and products for relative content, and issue a password after your products are approved and for edting your product content on PaverSearch.com. Found 26 books/videos. Displayed from 1 to 5 books/videos. Masons handle a variety of different roles like removing old plaster, mixing plaster to a proper consistency, applying plaster to walls and ceilings, installing brick, block, tile, rubble and marble walls, partitions, and much more. Over 100 publications and videos are available through the searchable Brick Bookstore. Use the search criteria to select the products of interest to you and pay for your purchase online. BIA members may order online and receive an invoice for payment. Books Store has a great collection of books and magazines, relating to the topic of Concrete. - buy your book and magazine online. Find hundreds of books on Comcrete, Masonry, Paths and Walkways. World of Concrete Bookstore is the official bookstore for the World of Concrete and World of Masonry trade shows and their affiliated magazines: CONCRETE CONSTRUCTION, MASONRY CONSTRUCTION, and THE CONCRETE PRODUCER.